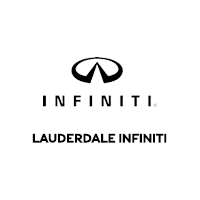 Lauderdale INFINITI proudly serves Hollywood, FL, as a full-service, new and used automotive dealer. We want to be your first choice when buying a luxury vehicle. As a member of Holman Automotive, we’re part of a family-owned organization that began over 90 years ago – a business that has perfected the art of customer service. We strive to go above and beyond to make your car ownership experience a breeze before, during, and after the sale. Founded in 1925 by Joseph W. Young, Hollywood, FL, was meant to be an east coast motion picture hub like its namesake in California. While the bright lights never show that brightly on the Florida incarnation, Hollywood is a thriving city in the Miami suburbs, boasting a population of around 150,000 residents. With 60 parks, 7 golf courses and miles of beautiful beaches, Hollywood residents and tourists have lots of great activities nearby, including Orangebrook Golf and Country Club, the immense West Lake Park, and the Hollywood Beach Boardwalk. Lauderdale INFINITI is about 30 minutes from Hollywood. Take US-1 N to East Sunrise Boulevard and turn right.